What would you take from your house if it caught fire? I would take a box in my room. There’s nothing expensive in it but it is priceless to me. It has notes and feedback my clients have written to me. Some read like gratitude notes and warm my heart. They remind me of my impact on people and gifts they see in me. In our reflection in other’s eyes, we sometimes see versions of ourselves that encourage us deeply to see ourselves with greater appreciation and become even better versions of ourselves. Just as I have received the grace of gratitude, I hope the words, notes and acts of gratitude I have shared with others for the beauty I see in them does this precious work in their lives. I used to be a highly critical person, focusing on the negatives in life, the world, people and myself. I was a change agent and what was broken caught my attention. Two things changed this for me – Love and Gratitude. The first entered my life triggered by an accident and the second entered my life through a daily gratitude practice. I believe that this is what led me to find Joy. I still falter but having Love and Gratitude in my personal compass helps me get back on course more than I could without them. 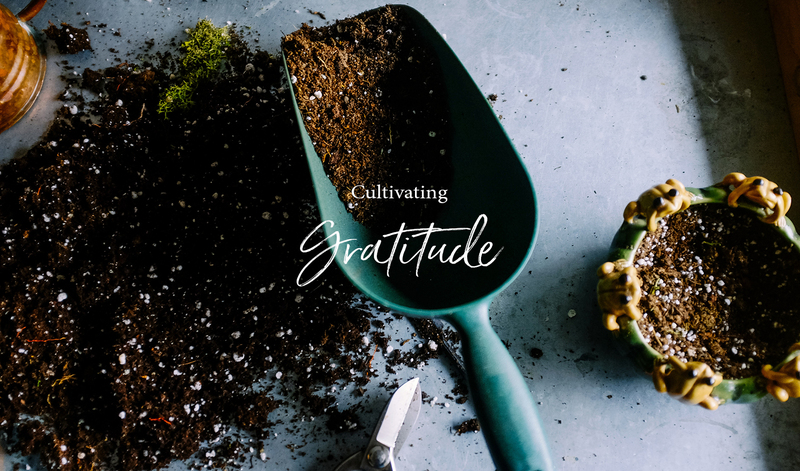 Gratitude expert Dr Robert Emmons reports that gratitude can help develop stronger immune systems, lower blood pressure, longer and better sleep, more positive emotions including joy, optimism, aliveness, helpfulness, compassion, forgiveness and generosity. This is good for individuals, families, workplaces and our wider communities. What is your connection to gratitude? Find out by taking the free VIA character strengths survey. It shows your character strengths in ranked order, including gratitude. Regular practice can take different forms. Choose a way to practise that is meaningful and encouraging to you. You could write three to five things you are grateful for. Keep it fresh. Look for new things to write, even if they are slightly different. Repeating things may lead to boredom. Dr Lyubomirsky’s research suggests that doing this once a week could benefit majority of people. However she says some may benefit form doing it daily, or two or three times a week or twice a month. For detailed guidance, see here. Dr Emmons offers the following tips: Don’t just go through the motions. Tap on your motivation to become happier. Choose depth over breadth. Elaborate on details rather than go for a superficial long list. One of my clients created a gratitude jar. It is filled with notes of what she is grateful for. She found that doing this with her husband encouraged her regularity. Another client shared that her family has a shared gratitude journal. Hailey Bartholomew did a photo project for 365 days. I benefit from practising gratitude daily before I sleep so the last things on my mind are uplifting to me. In the workplace, you can start some meetings with WWW – What Went Well in the past week/month? People can express gratitude for something at work or even their personal lives if they feel called to. If someone has impacted you positively, let them know! And don’t just say “Thank you”. Tell them what they specifically did, the strengths you see in them and the impact they have had on you. You can write or share verbally. Or write a detailed gratitude note and read it out in person to the recipient, as positive psychology founder, Dr Martin Seligman recommends. I have done this exercise. Writing helped me collect my thoughts and remember things I had forgotten. And reading the letters bonded me the letter recipients beautifully. Also remember to express gratitude in a way that is meaningful to the recipients. Remember You Have An Unknown Expiry Date. One day all this will end, in the way you know it now. You have no idea when that day will come. Reflecting on the brief time we have here can help us treasure what we have. Technology – Gratitude means we are paying attention to life, beauty and people. To do that, we need to look up from our phones and computers and be fully present. Suffering – It can be hard to be grateful when we are challenged by certain events. Through feeling and expressing grief and other painful emotions in healthy ways, reflecting and getting wise support, growth, wisdom and healings can emerge that we never would have received if not for the “negative” that happened. Community – If the people around us tend to complain and focus on what’s not working, it can affect us if we don’t stay awake to our intention to be grateful. It’s a fine balance between empathising with them, inviting them to consider another perspective and just letting our grateful selves inspire others. Through simple questions like “What are you grateful for today?”, we can invite them to see what’s beautiful. Perhaps the best way is to naturally shine the joy and benefits gratitude brings your life. We can also invite more people with a grateful lens into our lives. Media – We encounter a lot of bad news in the mainstream media. Yet there is an increasing focus on positive news too. Look out for them. There are lots of other social media sources where you can get inspiring and positive news or information. Try to get some of these into your daily media diet. I’ll end with a personal example. A few weeks ago, someone was telling me that people have told him how much they hate Indians. Although I have done alot of self-healing on this issue, I felt hurt and sad when I heard this. 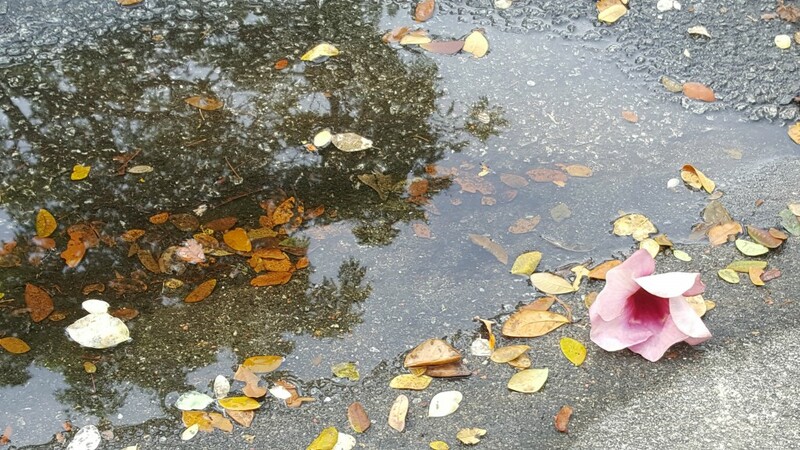 When I left later and walked away, this gorgeous flower appeared in a nondescript puddle of water. And suddenly I was reminded of Beauty in the world. The flower touched my heart and reminded me to respond to hate with Love. I was grateful for the precise timing in which this flower caught my eye and soothed my pain and restored me. Ways to Use your VIA Strengths has one section on Gratitude. Watch Movies: “It’s a Wonderful Life”, Groundhog Day, Click, Amelie. Listen to Thank You by Alanis Morisette and It’s a Wonderful World by Louis Armstrong. Contributed by Isabel Vadivu Govind from Joy Works, a boutique business with a social mission to promote high performance workplaces where people flourish. Vadivu is a facilitator and coach who supports the growth of conscious leadership approaches and vibrant workplace cultures. She holds a Master of Public Administration degree from Columbia University, New York City.